Because of my recent commitment to all things Instant Pot, I’ve neglected my slow cooker and slow cooker recipes a lot lately. They haven’t made much of an appearance at all (in fact, I don’t even know when the last time I pulled out my crock pot was!). My husband was teasing me about having to talk nicely to it before putting it to work this morning because it was a little bitter. There’s a new guy in town ? 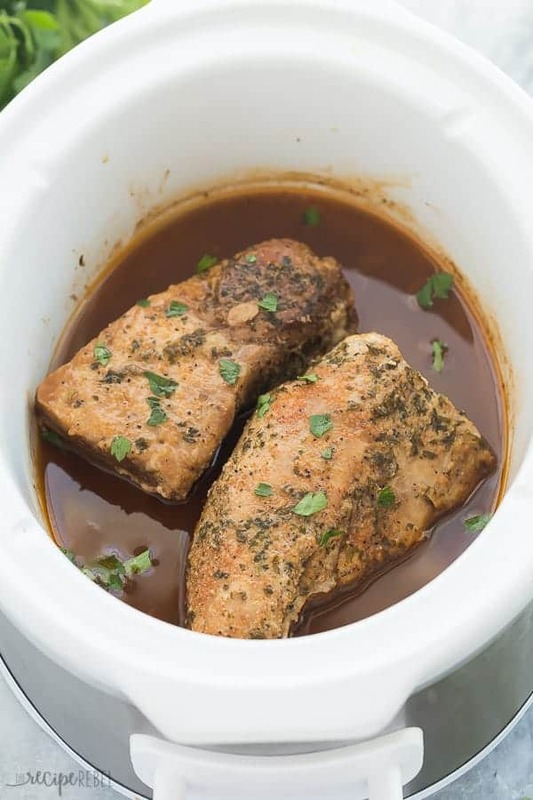 Regardless of my new love for the Instant Pot (for certain things — I’m not baking cakes or going crazy for egg bites just yet), I still have big love for a slow cooked meal. All slow cookers are different! 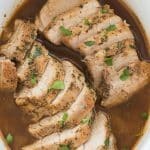 I use a 2.5 quart crock pot for this recipe, and it fits perfectly. Because it is small, it also heats really efficiently. You might find if you use a larger slow cooker that you need to cook it a little longer as it takes longer to heat up. If your slow cooker runs hot, you may find a little less time works great. 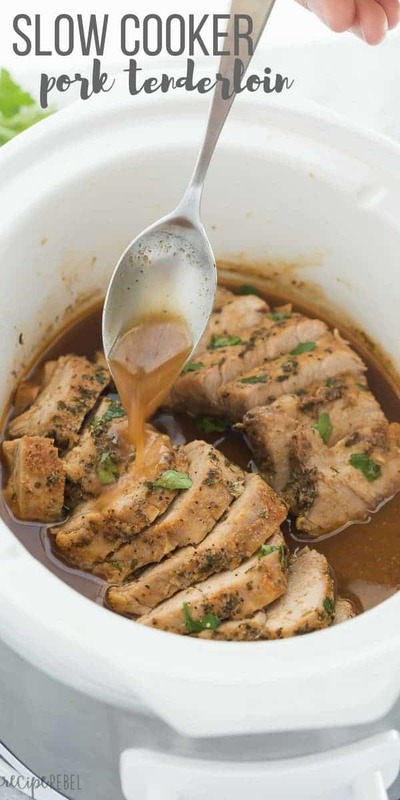 If your pork tenderloin is longer than your slow cooker, cut it in half lengthwise.